A three judge panel in the Second U.S. Circuit Court of Appeals in New York questioned some of the actions Michael Bromwich has taken in his role as a court appointed monitor inside Apple. Mr. Bromwich was assigned the task following Judge Denise Cote's ruling that Apple engaged in antitrust violations as part of a conspiracy to artificially raise the price of ebooks. The appeals court offered up some commentary on Apple's motion to have Mr. Bromwich relieved of his monitor duties on Tuesday. Judge Dennis Jacobs found Mr. Bromwich's thinly veiled threats when demanding interviews with senior Apple executives without lawyers present to be especially troublesome, according to Reuters. Mr. Bromwich told Apple "things may not go well" if executives insisted on having legal representation present during his interviews. Judge Jacobs commented, "I think you could see how that could generate substantial anxiety in the company." Mr. Bromwich was placed in Apple as a court appointed monitor in October 2013 by Judge Denise Cote. The move was unprecedented because Apple didn't admit guilt or consent to a monitor, and court monitors are typically used when companies have a long history of violations. Apple and five of the big book publishers were accused of colluding to artificially raise the price of books when the iPad was first introduced. The publishers all settled out of court to avoid hefty legal expenses and the threat of steep fines. 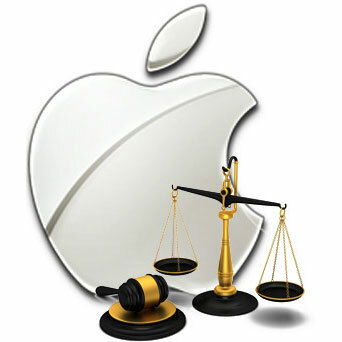 Apple, however, pushed forward alone with the assertion that it had done nothing wrong. The trial ended with Judge Cote saying Apple was the ringleader in a price fixing conspiracy, while Apple maintained that wasn't the case, and that instead Amazon was using monopoly powers to drive competitors out of the market by selling books below cost. Apple balked at seeing a court appointed monitor placed in the company without consent, and again when Mr. Bromwich submitted a bill for US$138,432—or $1,100 an hour— for two weeks of work. Apple also felt Mr. Bromwich was overstepping his authority by trying to interview executives throughout the company instead of monitoring the company's antitrust training efforts. Apple said Mr. Bromwich was conducting a roving investigation into its business when his court appointed duties were to be limited to monitoring activity related to book deals and training relevant staff on how to avoid anticompetitive behavior. The company's legal team also said Mr. Bromwich was acting as an investigator for the Department of Justice and was involved in secret meetings where Apple representation wasn't permitted. The appeals court said the bills Mr. Bromwich submitted to Apple were inappropriate, and Judge Jacobs said the total amount he charged would leave the public "flabbergasted." When Apple asked Judge Cote to remove her monitor she refused, and followed up by saying Apple's actions were proof that Mr. Bromwich needed to stay. An appeals court, however, was more receptive and placed limits on what Mr. Bromwich could do in his capacity as monitor. Apple has also appealed Judge Cote's ruling, and this panel along with a panel from late last year seem to be open to doing just that. Should the Appeals Court reverse Judge Cote's antitrust ruling, the court appointed monitor would be removed as well, and a class action lawsuit from several states would find itself on very shaky ground. Apple has stood firm saying there never was a price fixing conspiracy, and has made it clear it is willing to do everything it can to get Judge Cote's ruling overturned. Right now, it's looking more like Apple may be able to make that happen.